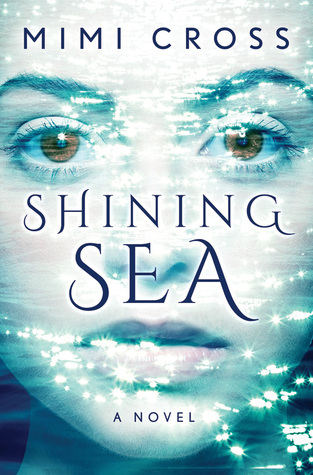 Shining Sea by Mimi Cross. Publication: May 24th 2016 by Skyscape. As a little kid I sang in the church choir, later on in the choruses at school, and about six months ago I started writing songs—not that I’d call myself a songwriter yet. My first gig was last week, down in the Mission District. Standing on the spotlit stage of the black box perfor- mance space, I played one long set—twelve tunes total—while hipsters watched with crossed arms. bones, atrophied muscles. A raw feeling spreads through me, like a dull blade is scraping the underside of my skin. a moldering stack of Psychology Today magazines. Therapy is Mom’s religion. that notebook. She looks at that black book like it’s the only thing she recognizes. My chest hurts so much—I actually glance down. But there’s noth- ing except a smear of pink icing on my shirt, where I’d leaned into the cupcake. stimulation—was thinking of people with Alzheimer’s or Parkinson’s, not, well, whatever’s wrong with Lilah. Her case is—entirely different. I’m not going to pretend: I’m scared. But the plan is, we’ll all be together in Maine by Christmas, so that’s what I’m trying to focus on. I’ll miss Lilah. Mom too. But I’m glad to be leaving San Francisco. Sounds interesting with a hint of danger. Will be curious to see what's going on with Bo.